Black hole sun > Galveston – is this houston? Sunset over Galveston Island looking back from the 61st Pier. 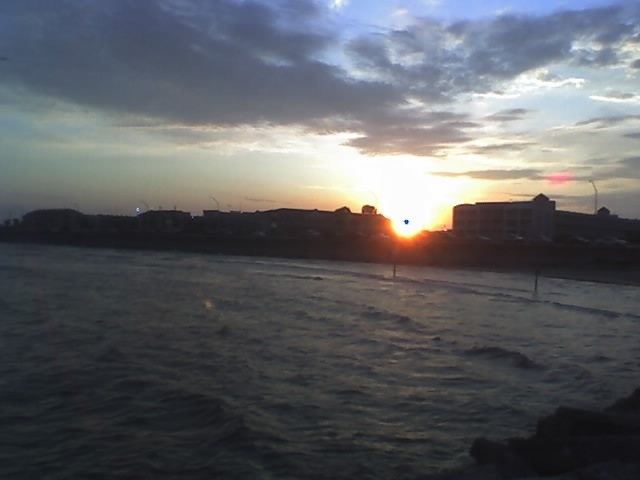 Since the beaches of Galveston face East towards the Gulf, you cant get a good view of the sun setting unless you walk out on one of the piers and look back to the Island.